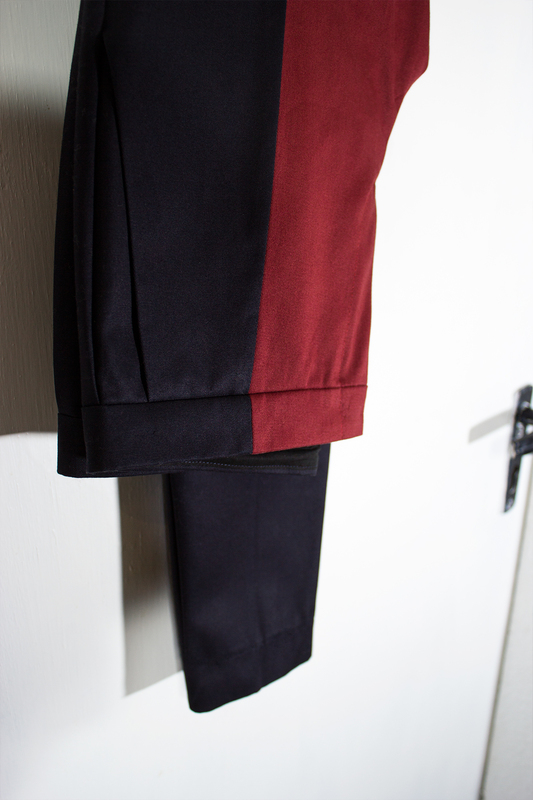 Slim tapered pants in a heavy, midnight blue twill. Graphic shapes in a rusty dark red in the front and back. Side pockets. Heavy weight solid twill in 100% cotton. The fabrics are certified organic by GOTS and made in Turkey by Lebenskleidung. Closes with a metal zipper and hook. Sewn with natural lyocell thread. Interfaced waistband. I imagine that if you were to look at a person wearing these pants in a dark room, they would appear to have very tiny (red) legs and to be hovering about 50 cm above ground. Emmy is 174 cm and wears a size 1.